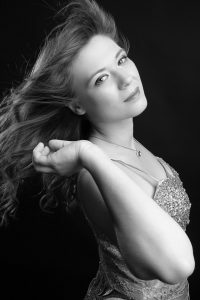 Anna Fedorova is one of the world’s premier young pianists. From an early age, she demonstrated an innate musical maturity and astounding technical abilities. Her live recording of Rachmaninoff’s 2nd Concerto has more than 16 million views on Youtube and is highly acclaimed by critics and world renown musicians. She regularly performs at the world’s most prestigious concert halls such as the Amsterdam Concertgebouw, New York Carnegie Hall, Palacio de Bellas Artes in Mexico City, Zurich Tonhalle, Theatre des Champs Elysees in Paris, Bunka Kaikan in Tokyo and many others. Anna’s latest engagements include appearances at the Annecy Music festival, Menuhin Festival in Gstaad (Switzerland), Ravinia Festival in USA and the Luis Vuitton Foundation in Paris as well as performances with top orchestras like the Dallas Symphony, Hong Kong Philharmonic, Royal Philharmonic, and Netherlands Philharmonic. She was Artist in Residence of the Edesche Concert Hall in Ede, Netherlands in the 2015-16 season. Upcoming highlights include performances with the Philharmonia Orchestra in London and Boston Philharmonic, as well as concerts in the Seoul National Arts Center and LOTTE concert hall. Anna graduated from the Lysenko School of Music in Kyiv with Borys Fedorov and the Accademia Pianistica in Imola, Italy with Leonid Margarius. She received her masters and artist diploma at the Royal College of Music in London under the guidance of Norma Fisher.